Place style building of South East Fort Lauderdale. 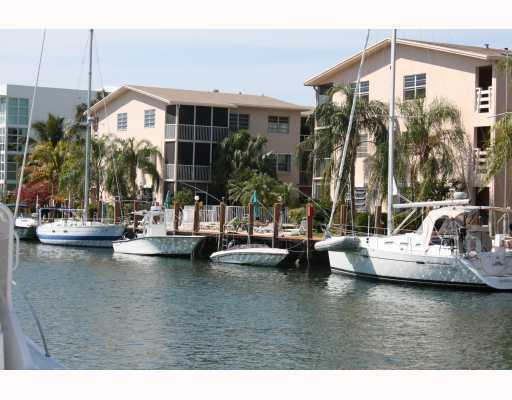 Located just off the 17th Street Causeway in Fort Lauderdale owners at Marin a Del Mar have access to all Fort Lauderdale has to offer, including dock space for rent at your back door. out. Read more about Marina Del Mar Condo in Fort Lauderdale Florida. Located at 1500 SE 15th Street in Fort Lauderdale, Marina Del Mar sits on the canals just moments from the intracoastal waterway and the Port Everglades. This Ft Lauderdale Condominium does allow rental during the first year of ownership but does have restrictions on the number of times per year you are allowed to rent. This Fort Lauderdale Condominium does not allow pets, so if you are looking for a pet friendly property this would be a great time to call Eric Miller and Associates. The property does feature a waterfront pool and dock space is available for rent from the association when available. Marina Del Mar Condominium is located close to the Harbor Shops of Fort Lauderdale giving residents easy access to numerous restaurants and local ammenities. Close to the Design Institute of Fort Lauderdale, The School of Culinary Arts, and just across the bridge from Fort Lauderdale Beach, Marina Del Mar is a great spot to have a Fort Lauderdale Condo close to the Fort Lauderdale Airport. For additional information contact REALTOR® Eric Miller by filling out the form below or calling 954.383.8170 with any questions. Ready to make an appointment to view available units at the property ? For all your Fort Lauderdale real estate needs and an introduction to the Marina Del Mar, we are always here to help with all search for the perfect Fort Lauderdale Condominium.